is the second-oldest radio amateur competition (the oldest being Field Day), first run in November 1930. 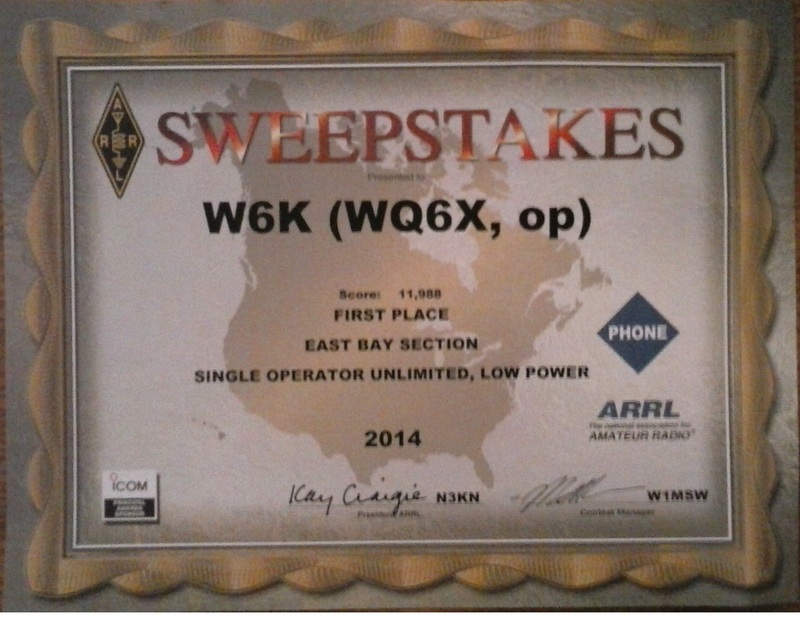 For 2014, WQ6X operated Sweepstakes as W6K from N6GEO's QTH in Brentwood CA - East Bay (EB) Section. You can read a write-up about this contest at the WQ6X Contest Blog: http://WQ6X.Blogspot.com. You can view Sweepstakes score submission at: http://3830Scores.Com.